Dr. Conoyer is a graduate of Southeast Missouri State University and received his MD degree from Vanderbilt University. He completed his ENT residency at Washington University in St. Louis. He served as the president of the Missouri State Board of Registration for the Healing Arts (Missouri's medical licensing board) as well as on numerous local boards. He has been honored by United Services for the Handicapped and Youth In Need for charitable service. He was named Citizen of the Years by the St. Charles Chamber of Commerce in 1994 and received the 2004 St. Peters Chamber of Commerce Distinguished Business Leadership Award. In 1996, he received the sole American Academy of Otolaryngology-Head and Neck Surgery National Award for Practitioner Excellence. He and his spouse, Carol, have three children, two of whom practice medicine with him, and six grandchildren. David G. Cosby was the director of advancement for Ninos de Mexico, an organization that receives orphaned children on a permanent basis in the greater Mexico City area. The children typically remain with Ninos through completion of their education (including college). Ninos operates five children's homes, a school, and a medical facility that provides community outreach services. Other professional interests include healthcare management and a prior career in banking. Cosby holds an MBA from Washington University in St. Louis. 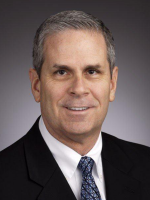 Doug Mueller is co-founder of Mueller Prost and is a leading business advisor for corporate and emerging tax issues. He focuses on high-level tax planning and consulting for high-net worth individuals, business owners, and their related businesses across a broad range of industries. Mueller has developed a culture and team at Mueller Prost that is dedicated to quality, technical expertise, and service. He sits on multiple professional and charitable boards, including the Missouri Society of Certified Public Accountants. Mueller has earned various awards, including Who's Who in Law and Accounting by the St. Louis Business Journal, Beyond the Best by Small Business Monthly, St. Louis Top Accountant by a leading business publication, the fourth annual Money Magazine Tax Contest, and many more. Lindenwood University alumna Patricia Penkoske (’69) began her service as Secretary on the Board of Trustees in May, 2017. 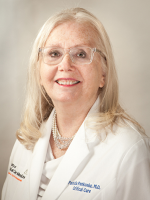 She is a longtime critical care physician who remains involved in teaching medical students, residents and fellows at Barnes Jewish Hospital. Dr. Penkoske moved to St. Charles during her high school years and attended Lindenwood College when it was transitioning to coed. Summer jobs in a research lab exposed her to research and medicine. She graduated from Washington University School of Medicine in 1974. Further training included general surgery and cardiac surgery. Penkoske was a practicing pediatric cardiac surgeon, researcher, and residency program director for 16 years at the University of Alberta in Edmonton, Alberta, Canada, and for two years at Saint Louis University. In 2005, she joined the faculty at Washington University. The mother of three daughters, Penkoske lives in the Central West End and enjoys participation on several boards, sports, and travel. Harry H. (Chip) Peterson is an entrepreneur in Farmington, Mo., where he serves as president and vice-president of several small companies. He served as president of Farmington Development Company for 25 years, which has been the main developer of commercial property, as well as residential developments, in Farmington. He owns Insight Partners Inc., which has operated as many as three Steak N Shakes in Missouri; Show-Me Cici’s Pizza, Inc. and Q Loco, LLC, which he owns and operates as Cici’s Pizza and Qdoba restaurants respectively; as well as office and retail ownership and management. Peterson is a graduate of the University of Colorado-Boulder, where he earned his BS in small business management. In addition to being on the Board of Trustees of Lindenwood University, where he serves as Committee Chairman of the Athletics Committee, he serves on the First State Community Bank Board of Directors. He is president of Farmington Industrial Development Authority and has served on the Mineral Area Community College board, American Legion Missouri Boys State, the Farmington Chamber of Commerce, the Presbyterian Children’s Home board, and the Farmington Memorial Methodist Church boards. Peterson and his wife of 34 years, Debbie, who also owns and operates their various businesses, have one daughter, two sons, and four grandchildren. Jerry E. Scheidegger is well-known for his dedication to serving the community. Born and raised in St. Charles, Scheidegger has been one of the key players in helping to make his hometown area both prosperous and compassionate. After finishing high school and joining the armed service, Scheidegger returned to St. Charles, engaging in small entrepreneurial ventures where he learned everything he could from his personal business experiences. Today the Scheidegger family owns Corporate Group, Inc. and manages property it owns or has ownership in, located in St. Charles and Warren counties, and Lake of the Ozarks, and residential development in Colorado. Don is co-founder and managing partner of Top Gun Ventures, a premiere national retained consultancy firm that helps start-up to Fortune 500 companies build high performance executive teams at the "C" level. With offices in Austin, Boston, Dallas, New York, Palo Alto, Seattle and St Louis, Don and his partners have assisted entrepreneurs, investors, CEO’s and Board of Directors attract "GameChangers" to build and scale companies throughout the U.S. and around the globe. In the last thirty years he has helped many companies to build entire executive teams. Many of these companies have grown, prospered and undergone successful liquidity events (IPO/buyouts). Prior to building this business from 1984 to present, Don progressed through engineering and operational management roles within a Fortune 500 technology company. Don completed his undergraduate studies at Southern Illinois University, and also completed all coursework leading towards a M.S. degree. Don has been featured on CBS MarketWatch and other business programs and enjoys contributing to articles in various newspaper and magazines in the U.S. and globally. He enjoys golf, reading, fine wine, cooking, traveling and being a guest lecturer at universities and business events. He also has a passion for ensuring students select the proper educational degrees and transition their higher education into a fulfilling career. 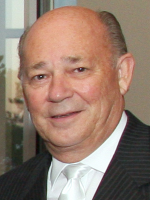 Art Johnson spent 28 years as an executive with AAA, retiring in 2013 after serving as president and CEO for seven years. 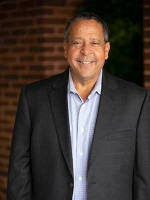 Johnson served in the advertising, public relations, and marketing area where he was employed by KSJ Advertising as executive vice president. Johnson served on the National AAA Accreditation Commission, the Board of Directors of Auto Club Insurance Company of Florida, the Automobile Club of Missouri, the Auto Club Inter-Insurance Exchange, Auto Club Family Insurance Company, and Auto Club Enterprises. Additionally, he served on numerous AAA national committees, including the AAA Response Board of Managers, the Strategic Marketing Council, and the AAA Member Services and Benefits Committee. Johnson is a lifelong resident of St. Louis. He is a member of the Board of Police Commissioners for the St. Louis County Police Department, and has previously served on civic boards, including, Director, Junior Achievement, and the St. Louis Chapter of American Red Cross. Until his appointment as acting president of Lindenwood University, he served as vice chair of the Board of Trustees. Patricia Ahrens has been a member of Lindenwood University’s Board of Trustees since 2009, serving on the board’s Fundraising and Facilities committees, as well as the Capital Campaign Committee for the Lindenwood Belleville Campus. She is the president of Ahrens Contracting, Inc., a site contractor specializing in demolition, excavation, and environmental remediation. Ahrens Contracting, Inc. has completed jobs such as the demolition of the former St. Louis Greyhound Station (Site of America’s Center/Edward Jones Dome), demolition of old Busch Stadium and earthwork for new Busch Stadium, demolition of the former Deaconess Hospital, and partial demolition of Barnes Jewish Hospital. Kevin Bray is a retired senior vice president of Commerce Bank and the group manager for 11 Commerce Bank branches in St. Charles County and North County. 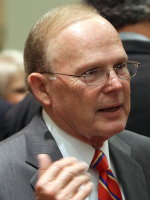 He has worked for Commerce Bank for 43 years and was promoted to his current position in 2003. Bray received his BA in psychology from the University of Missouri-St. Louis and his master's in finance from Saint Louis University. He currently serves on the boards of Lindenwood University. Gaspare Calvaruso is president of Capital Region Medical Center, a not-for-profit, integrated healthcare system in Jefferson City, Mo., which operates two principal campuses, the Main Campus and the Southwest Campus (Goldschmidt Cancer Center). CRMC consists of a 114-bed acute care hospital (including a 14-bed rehabilitation unit), 28 ambulatory care sites in the surrounding area, the Goldschmidt Cancer Center, and an employed 130-physician, multi-specialty group practice known as Capital Region Medical Group. Annual net revenues for CRMC are in excess $200 million. He is a graduate of the University of Missouri-St. Louis, and he earned a master's degree in business administration from William Woods University in Fulton. Besides the Lindenwood Board of Trustees, he serves on the Central Missouri United Way, Jefferson City Downtown Rotary, the Old Munichburg Association, and the St. Joseph Cathedral Knights of Columbus. He and his wife, Melissa, have three boys. Ron Gorgen (’98) is a retired compliance director at Edward Jones. He had worked there since 1979. After working in field supervision, he joined the Compliance Department in 1999. He was a member of the Edward Jones Compliance Committee and was responsible for the semiannual Compliance Committee meeting and the Compliance Regulatory Symposium. He has been a member of the Edward Jones Leadership Council and Edward Jones Compensation Committee. Gorgen is a co-founder of the Securities Industry Association’s Insurance Supervision Committee, which is responsible for insurance and annuity supervision for financial services firms. Besides serving on the Lindenwood University Board of Trustees, he is on the Mercy Hospital Foundation Board in St. Louis. 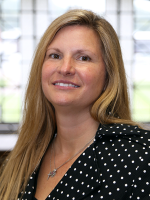 Gorgen is a part-time professional development consultant for Washington University Law School. He is also a former president of the St. Louis Area Foodbank board and the president of the Central City, Neb., Chamber of Commerce. Gorgen holds a bachelor’s degree in finance from the University of Denver and completed his MBA at Lindenwood University. In addition, he graduated from the Securities Industries Institute at the Wharton School of Business, University of Pennsylvania. John W. Hammond is a retired entrepreneur who spent 23 years as president of G.W. Composites, Inc. in O'Fallon, Mo. Prior to that, he worked 12 years as a program manager of DC-10 flight simulators at McDonnell-Douglas. 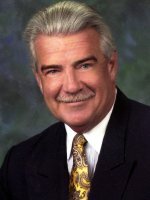 Hammond joined the Lindenwood University Board of Trustees in 1991, and for many years, he served as Treasurer. He played an integral role in Lindenwood’s creation of the University Commons shopping center across from the St. Charles campus. 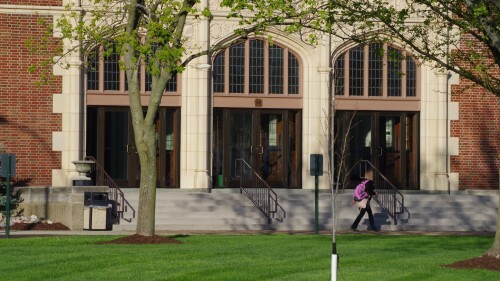 In 2013, Mr. Hammond provided financial support to establish The Hammond Institute within the Plaster School of Business and Entrepreneurship. A Jefferson City, Mo., native, Hammond was chairman of the board of Frontenac Bank and currently is on the Board of Royal Bankshares. He is past president of Progress 64 West and remains active in that organization as well as Rotary. He and his wife, Barbara, live in Chesterfield. Mr. Mason is the founder and CEO of David Mason + Associates. As a registered architect, he provides oversight for major clients while also overseeing the corporate marketing effort. As the President of the firm, with over 38 years of experience, he aims to investigate the possibility of eliminating a problem rather than following the temptation of solving the problem. His design philosophy emphasizes a critical examination of established attitudes and establishing a balance between practical function and human needs. David’s management and technical leadership skills assure the client that the project team will receive the resources and the leadership required to meet or exceed all project goals and objectives. 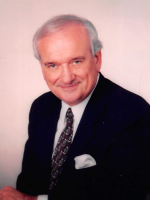 Joseph G. Mathews has owned Mathews & Associates since 1985. Prior to that, he worked for Phoenix Life Insurance Company and Stix, Baer & Fuller and was an officer in the United States Army. 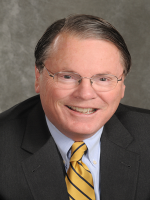 He is the past president of the St. Louis chapter of Chartered Life Underwriters and past director of St. Louis Life Underwriters and is in the Phoenix Home Life Insurance Company Hall of Fame. Mathews is also an honorary member of the Board of Directors for Lake of the Ozarks General Hospital, where he is a past chairman. Mathews is an Eagle Scout with gold, silver, and bronze palms. Besides serving on the Lindenwood Board of Trustees, Mathews is a board member at SSM Healthcare of Lake Saint Louis and a member of the US Bancorp Advisory Board. 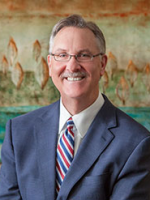 Don C. Musick, III has over 30 years of experience providing construction services to property management firms, developers, institutions and corporations. Don is responsible for millions of square feet of office, retail, manufacturing and laboratory space. 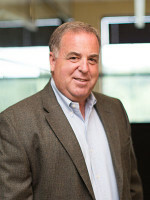 After completing his education at St. Louis Priory School, University of Denver and St. Louis University, Don began his career working in the field on major construction projects for McCarthy Construction in St. Louis. After making an independent name for himself within the industry, Don decided to join the family business and maintain the Musick reputation of extraordinary excellence, quality and integrity that has endured for four generations. 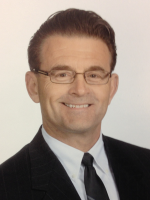 He is currently the Chairman and CEO of Don C. Musick Construction Company. 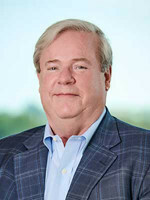 Don has created related companies in which he retains ownership and maintains top leadership positions; DCM Group (founded in 1992) which provides property management and development services to numerous corporate clients including; Emerson Electric Co., Mercy, St. Anthony’s and BJC healthcare companies. DCM is also the developer of the Meridian in Brentwood and Ravenel Condominiums in Swansea, IL. Don also established West Park Painting, which is one of Missouri’s largest painting companies servicing both commercial and residential clients. Ron Ohmes is a longtime business leader in the St. Louis area, having spent 57 years with Kirchner Block & Brick. It is a family business that grew from a local concrete block company into a Midwest powerhouse. He retired in 1999 and remained active as owner and on the company board of directors until 2012. 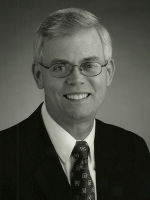 Ohmes joined the Lindenwood Board of Trustees in 1989. He serves on the facilities committee and the finance committee and is one of the university’s top donors. 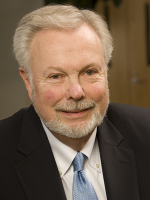 He received the Sibley Medallion of Honor in 2009 for his deep ongoing commitment to Lindenwood. Ohmes was very active with the St. Charles Jaycees, where he served as president. He went on to be president of the Missouri Jaycees. He has a long list of volunteer and service activities with has parish, St. Charles Borromeo, and many other civic organizations. Ohmes and his wife, Janice, live in Roach, Mo. at the Lake of the Ozarks. 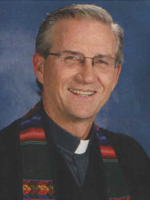 The Reverend Ronnie Osborn has served as pastor at St. Charles Presbyterian Church since 2005. 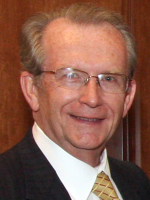 He joined Lindenwood’s Board of Trustees in 2008. Osborn is a native of South Kansas City, Mo. He earned his BA in psychology from Baylor University. He worked in the social services field after college and was employed as a Deputy Juvenile Office for the State of Missouri and as a District Program Director for the YMCA of Greater Kansas City. He received his Master of Divinity from Pittsburgh Theological Seminary in 1992 and has served churches in Pittsburgh, Penn., Omaha, Neb., and Euharlee, Ga., before coming to St. Charles. While in Omaha, he completed his studies in the Master’s in Christian Spirituality Program at Creighton University. Osborn and his wife, Margaret, were married in 1992. They have two children. Attorney Jo Anna Pollock works as a shareholder at Simmons Hanly Conroy, in the Complex Litigation Department, where she focuses on environmental, commercial, class action and human rights litigation. She devotes her practice to representing people and their businesses that have been hurt through the wrongful conduct of others. Jo Anna earned her bachelor’s degree with honors from Lindenwood University in 1997. She earned her law degree from St. Louis University Law School, where she graduated with honors and on the Dean’s list. She also served as an editor for The Journal of Health Law. 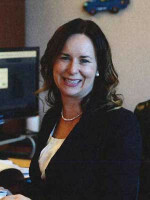 She has penned several articles about practicing law for various publications, and she speaks at law conferences on various topics concerning trial work. 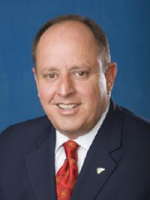 Herb Roach has more than 40 years of experience in executive management, finance, manufacturing, and distribution. The experience includes corporate responsibility for human resources, corporate development, information systems, customer service, procurement, government relations, and international shipping. Roach and his wife, Nancy, have a wealth of entrepreneurial experience as well, having started their own business and successfully operating it for 20 years before selling it. He is currently the mayor of the city of O’Fallon, Ill., and has a lengthy list of civic involvement. David F. Sabino, CPA is Managing Partner and founder of the public accounting firm Sabino & Company LLC which was established in 1998. Beginning his career at Ernst & Young, Dave's professional background includes over thirty years of public accounting experience with a specialization in the areas of tax planning, tax compliance and consultation for closely-held businesses and high net worth individuals. Dave earned the prestigious Certificate of Educational Achievement (CEA) in Tax Planning & Advising for Closely Held Businesses awarded by the American Institute of Certified Public Accountants (AICPA). After earning his accounting degree from Illinois Wesleyan University in Bloomington, Illinois, Dave received his CPA certification in 1981. In his spare time, Dave enjoys collecting wine, playing golf, traveling, and hunting. A little-known fact about Dave is that he was originally a Biology major in college! William C. Schoenhard is a retired healthcare executive and former deputy under secretary for health for operations and management for the U.S. Department of Veterans Affairs (VA). Before his appointment to the VA, Schoenhard was executive vice president/chief operating officer for SSM Health Care. 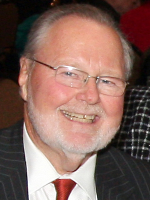 A former U.S. Navy officer who served in Vietnam, he serves on the boards of directors of Lindenwood University, the Gene Slay’s Girls and Boys’ Club of St. Louis, Mizzou Alumni Association, and Deaconess Nurse Ministry, as well as on the Finance Council of Mary Queen of Peace Catholic Church. 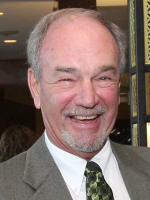 Schoenhard graduated from the University of Missouri with a Bachelor of Science degree in public administration in 1971. He earned a master’s degree with honors in health care administration from the Washington University School of Medicine. Gary N. Shaw is Senior Vice President/Financial Advisor at Morgan Stanley. He has more than five decades of industry experience. He was named a President’s Club member while at Dean Witter Reynolds (now Morgan Stanley) and earned membership on the Director’s Advisory Council at E.F. Hutton (now part of Morgan Stanley). 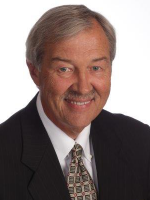 He was named Youth in Need’s Man of the Year in 1988, Dean Witter Reynolds’ Broker of the Year in 1991, and Boys & Girls Club Man of the Year in 1996, and received the St. Charles Chamber of Commerce Lifetime Distinguished Service Award in 2002. His alma mater, Iowa Wesleyan University, awarded him an honorary Doctorate of Laws in 1993. Shaw believes in giving back to the community and serves on several not-for-profit boards including: Missouri Kids, Foundry Art Centre, Lindenwood University, Endowment for United Services, and Iowa Wesleyan University. Shaw and his wife, Joyce, have 6 children and 14 grand-children.